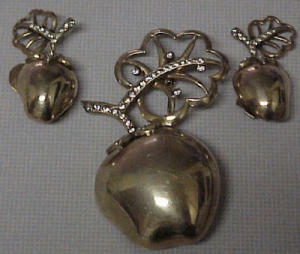 Sterling vermeil apple pin and matching earrings. Clear rhinestone accents. the pin measures 2" X 2 1/2". The clipback earrings measure 1" X 1 1/2"